Sony showed off its Smart Tennis Sensor at CES at the start of the year, and while it’s already available to players in Japan, it’s yet to land on court in the US and elsewhere. However, the Japanese tech firm on Thursday furnished us with a few more details, confirming it’ll get a US release “by the end of January 2015” and a price tag of $200. The sensor, which is a coin-sized device that attaches to the end of a number of rackets from sports firms such as Wilson, Yonex, and Prince, is designed to help you analyze your tennis game, with data collected on shot count, ball impact spot, swing speed, ball speed, and ball spin. All stats can be immediately viewed on a smartphone or tablet using the iOS or Android companion app, which connects via Bluetooth. The device, which weighs around 8 grams and measures 31.3mm in diameter, includes a Memory Mode enabling it to store up to 12,000 shots for analysis. And if you’re the kind of player that likes to swap between rackets during the course of a match, the sensor can handle it, with all data effortlessly transferred to the next racket no matter the model or brand – as long as it’s compatible with the sensor, of course. Of course, Sony’s vague timeframe for launch may lead some consumers interested in such a tennis tool to look elsewhere. A similar sports sensor from California-based Zepp Labs, for example, is already available, and for $50 less than the Sony device. 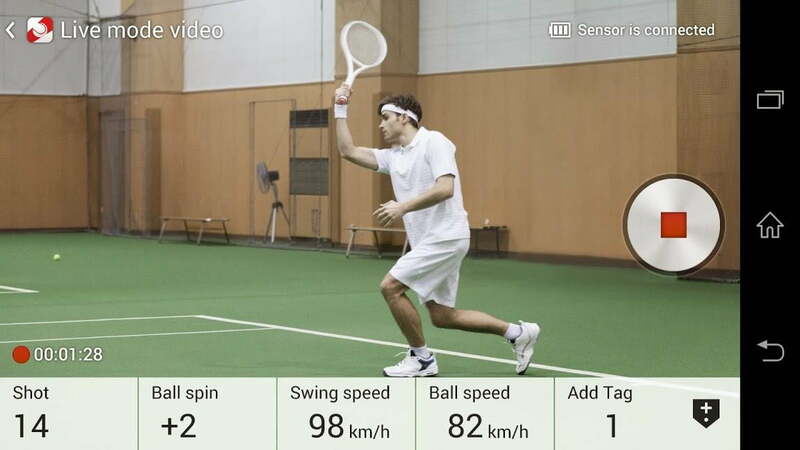 With the holiday season fast approaching, you’d imagine the Tokyo-based company is pushing to get its Smart Tennis Sensor in stores as soon as possible rather than waiting till the start of next year. We’ll keep you posted.